A lot of remarkable things have happened in the life of Sam Pulsifer, the hapless hero of this incendiary novel, beginning with the ten years he spent in prison for accidentally burning down Emily Dickinson's house and unwittingly killing two people. emerging at age twenty-eight, he creates a new life and identity as a husband and father. But when the homes of other famous New England writers suddenly go up in smoke, he must prove his innocence by uncovering the identity of this literary-minded arsonist. 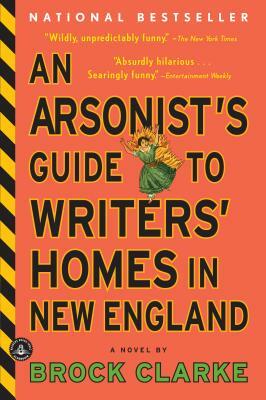 In the league of such contemporary classics as A Confederacy of Dunces and The World According to Garp, An Arsonist's Guide to Writers' Homes in New England is an utterly original story about truth and honesty, life and the imagination. Brock Clarke is the author of five novels, including the bestselling An Arsonist's Guide to Writers' Homes in New England, as well as three collections of short stories, the most recent being The Price of the Haircut. He lives in Portland, Maine, and teaches at Bowdoin College.